What motivated EMC to take over VCE, and why Cisco saw it as a good move. This morning before its earnings call, EMC issued a press release stating it had acquired controlling interesting in the joint venture (JV) known as VCE. The JV was created by Cisco and EMC with minority investments from VMware and Intel to create the converged infrastructure market. Following the acquisition, EMC will own 90% of the JV, with Cisco maintaining about a 10% stake in the company. The companies formed VCE to develop an integrated, validated, pre-tested converged solution that customers could use to stand up a private cloud in just a few days. There are literally tens of thousands, maybe even hundreds of thousands, of configuration parameters required to stitch V, C and E together. The JV took much of the mystery out of that, at least 80% to 90%, with the remaining 10% to 20% being used to customize the solution for specific environments. VCE is arguably the most successful JV in the history of IT. H3C saved 3Com and gave Huawei some enterprise credibility prior to being acquired by HP, but I don’t believe H3C got to the $2 billion run rate that VCE is currently on. On a pre-call with industry analysts the night before announcing the acquisition, VCE claimed it has now had six quarters in a row of over 50% year-over-year growth. 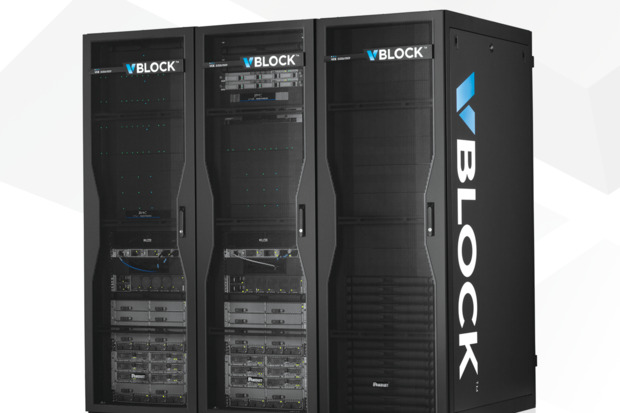 Today, there are a number of different converged solutions, including EMC's own VSPEX and Cisco's FlexPod, but the Vblock from VCE remains the most successful of the converged infrastructure solutions. So with all this success, why shake things up? On the call, I think Cisco COO Gary Moore said it best. VCE wanted to make this move while the company was on top and could do it in a position of strength. VCE solved the standalone cloud problem, but the industry is now shifting to hybrid clouds and that opens up a whole new set of challenges. For VCE to stay on top it will need to make more moves at a faster rate, and that’s what precipitated the restructuring. As part of the EMC family of companies, VCE will have a streamlined reporting chain. Post-restructuring, VCE CEO Praveen Akkiraju will report to EMC II CEO, David Goulden. This reporting structure will allow VCE to make faster decisions without the overhead of multiple owners. Now that VCE isn’t so small anymore, I think we should expect them to start acquiring technologies to add capabilities. Cisco CEO John Chambers always talks about how the most successful companies are the ones that can move the quickest, as the market waits for no one. Well, now VCE can move at cloud speed. What should customers expect? All of the parties on the call were very clear that Vblock would always remain a VMware, Cisco, and EMC product. The company has a number of new products coming next year, including an ACI-enabled Vblock, and that remains true post-restructuring. VCE is a very important channel to Cisco, as the JV now accounts for a good portion of UCS sales, and I expect Cisco to continue to dedicate resources and support to ensuring that all Vblock customers are successful. Any current or future customer of VCE should feel comfortable that this move was made with the customer in mind, and that the product, service and support will remain top notch, as it has since the inception. Only time will tell what the new VCE will look like, but if it has as much success in the next wave of cloud as it has had over the past five years, the company, its owners, and customers should all benefit.